Are you looking for materials to help you teach fractions? 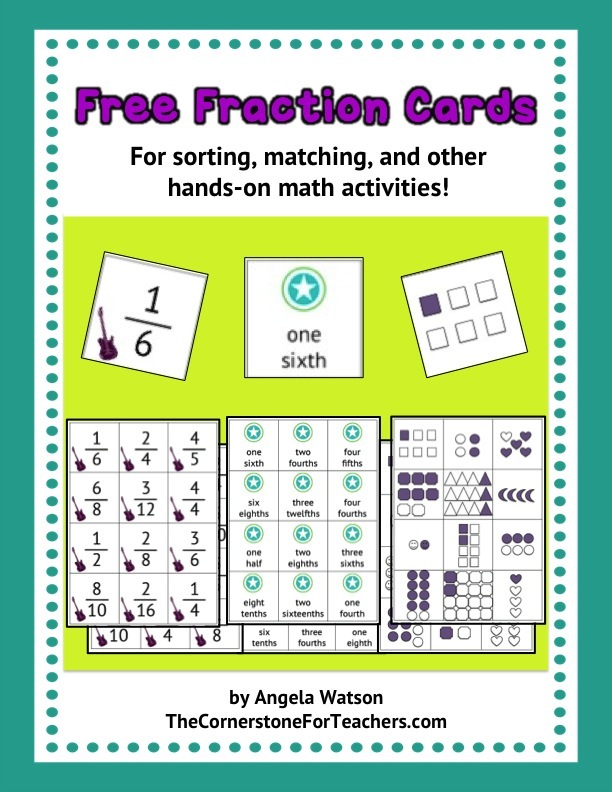 These free cards are perfect for all kinds of hands-on math activities, including math centers and work stations. Students can sort or match the cards, or use them as manipulatives. 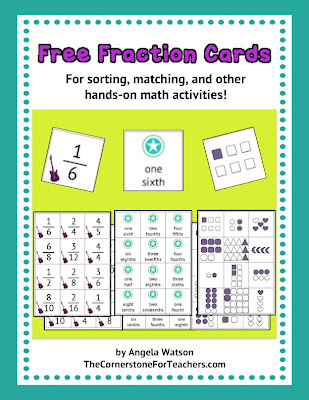 Click here to read more and download your free printable fraction cards!